Lawns can harbor numerous insects that can affect the overall health and appearance of your lawn. 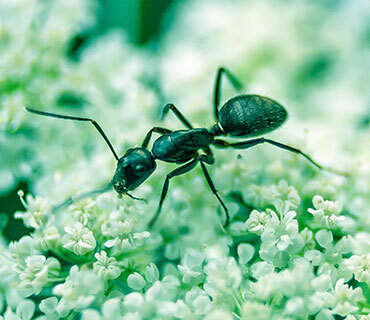 Chinch bugs, grubs, ants, sod webworms, and many other insects can cause considerable damage to your turf as well as create a lawn that is aesthetically unpleasing. Lawnpro can help identify the insect problem as well as make recommended action to take. Our technicians will identify the pest in your lawn and we can schedule an insect control program that uses the right product(s) at the right time. We apply preventative as well as curative products based on years of experience and knowledge. Our applications can either be applied as a granular product or a liquid product depending on the targeted pest. We will also follow up with any additional applications as necessary throughout the season. Our application has a residual for up to 6 weeks and we recommend at least three applications throughout the year for season long control. Let our staff at Lawnpro help you keep your lawn and home bug free!